Now there are a few ways to go!! please read below!! 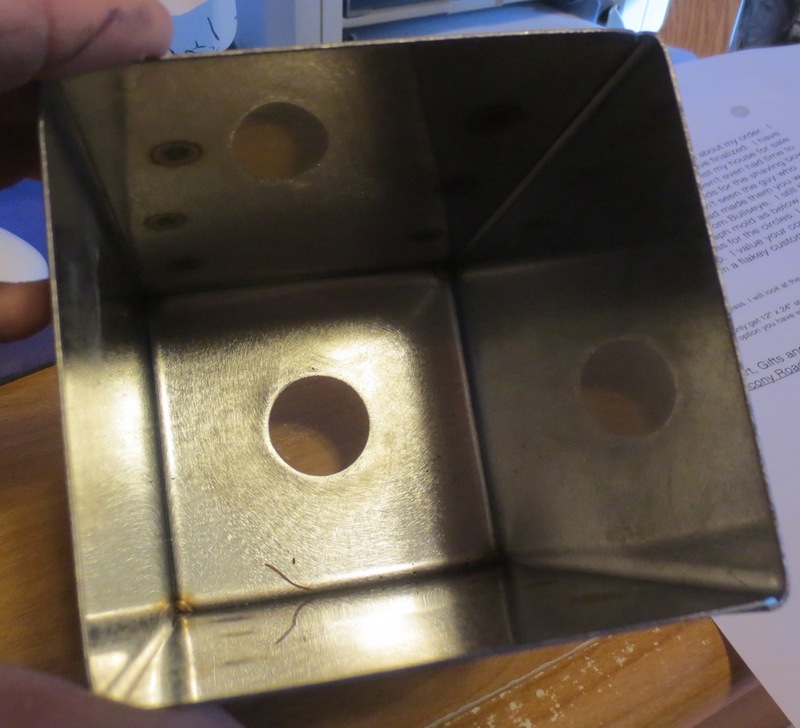 Our NEW Vitrigraph Pots are made of stainless steel and are 5" x 5" x 5" with a 1" hole. After testing I have found that a larger hole promotes hollow tubes which are not what I am going for so we really like the 1"! I am finding that by spraying you new vit pot with ZYP (MR97) it makes it easy to get out the glass. If however you are using scrap glass you need to load carefully as to not disturb the ZYP. No prefiring needed and after firing just shake out any loose shrads and smashany left over glass. When all of the glass is out I use fine steel wool to remove any old Zyp and spray again. These make vitrigraph easy since you can either cut squares or just use scraps. No more worrying about cracking pots, cutting circles, and ruining the bottom of your kilns. Whether you are pulling stringers or cane this is a great way to go! Have fun!! With our new Bottomless Stainless Steel form you can make the patterns that you love to put at the top of your cane stacks. Using our new form the glass design will go into a full fuse using 1/8" fiber paper first, then pop out (clean the edges) and right into one of our stainless steel vitrigraph pots at the top of your stack. That design will pull into the center of your cane. 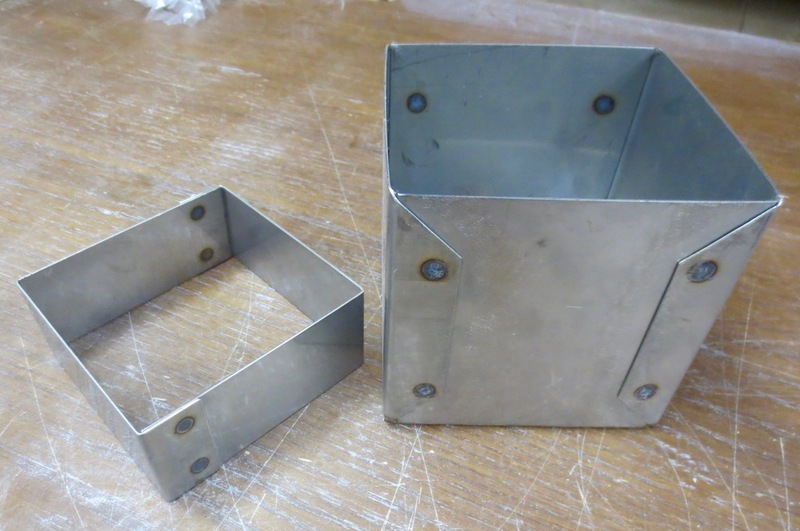 Some people have asked us to make some pots without bottoms in their vitrigraph square pots so we are making these available to all. What you do is to cut a hole in your fiberboard the size you like for your project. What I am doing is to put our 1mm paper over fiberboard after cutting a hole.. doing that will protect the fiberboard so you can use it again and again. They will look just like our other vitrigraph pots but without a bottom. One other advantage to easy cleaning is that you can have different bases with different size holes in them. NO!! They do not leak!!!!! I am spraying mine with Zyp (Mr97) for easy glass removal. These spinners are 16" long and have 2 slots on the end that are ground down so there are no sharp edges. So much fun!! !